This section will show you some basics on working with WordPress. 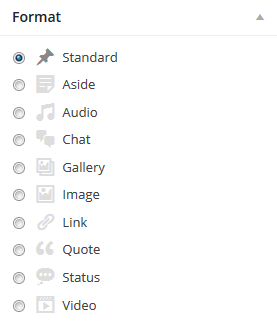 Content in WordPress is stored as posts and categories. Let’s see how to work with them. add content to the post. 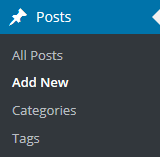 You can check detailed information about adding posts at Posts Screen. 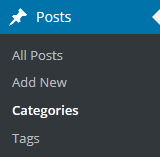 You can check detailed information about adding categories at Posts Categories Screen. 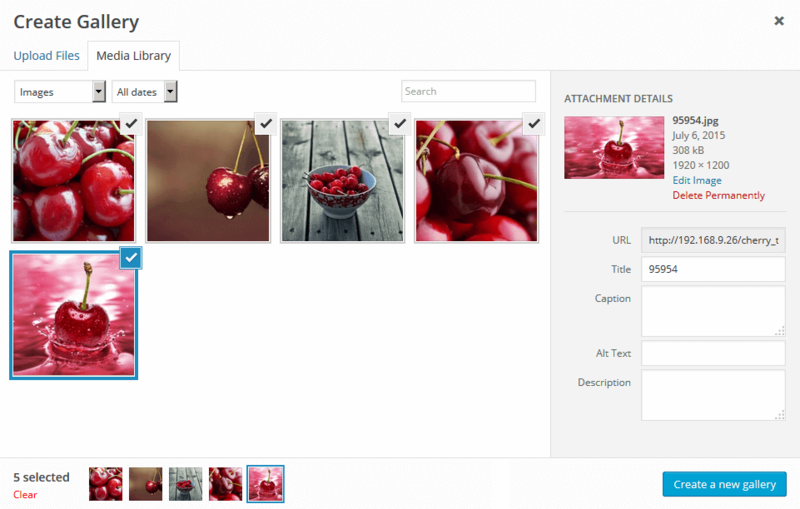 Post formats are used to customize the available post options and markup. 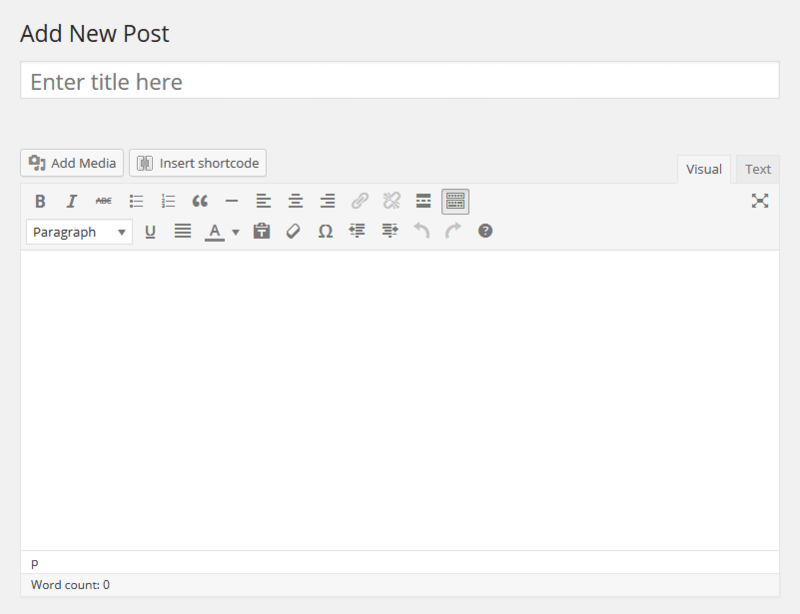 You can choose a post format on the post editing screen. 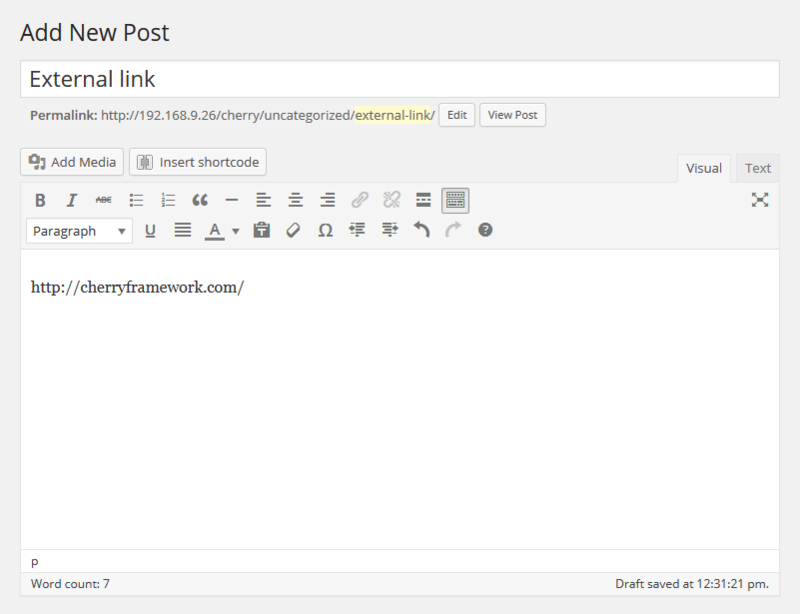 You can check detailed information on post formats on Post Formats page. 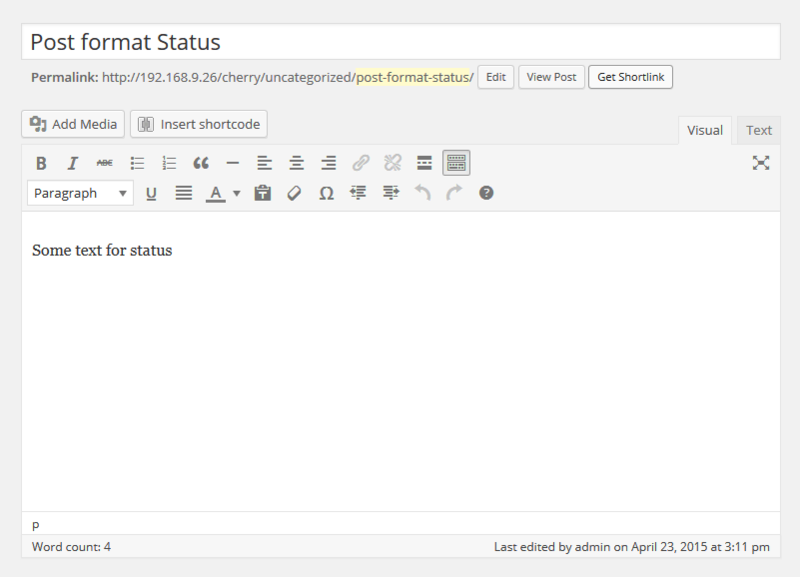 Check the list of available posts formats with description and settings below. featured image - post featured image. other fields that can be enabled in Screen Options in the top right corner. 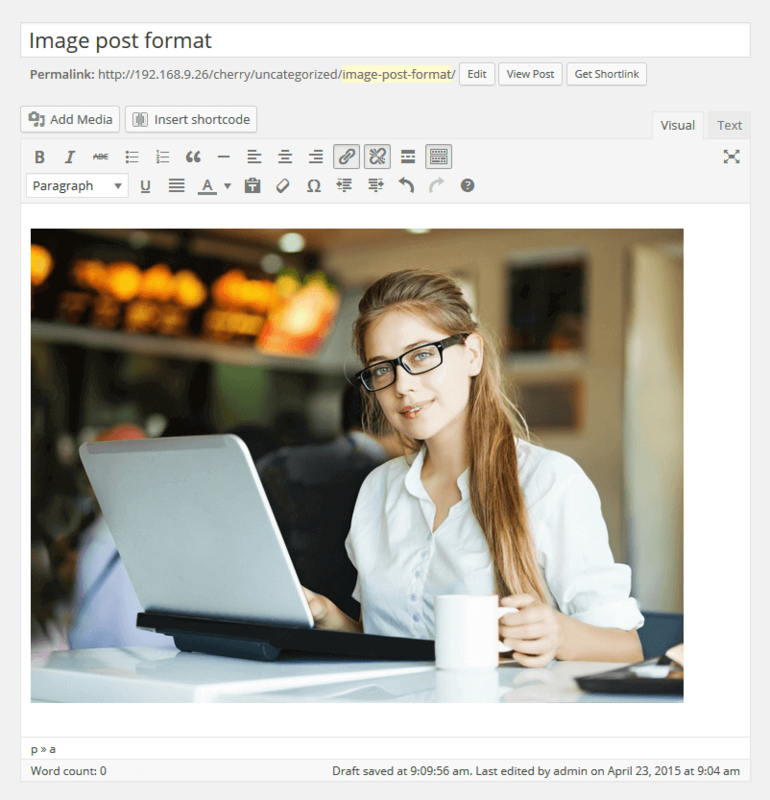 Aside is a simplified standard post format. In other words, there is only a content field, so you don’t need to enter the title and other options. 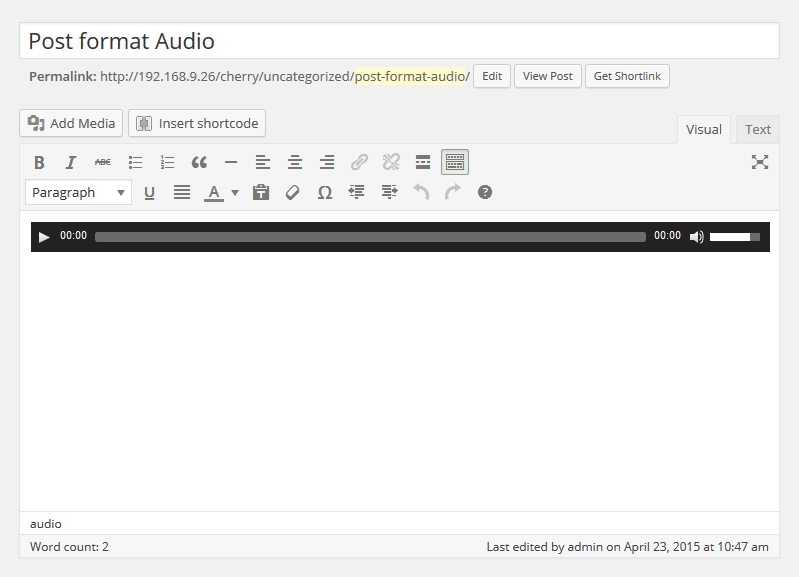 Audio format is used to publish audio content. description - audio track description. 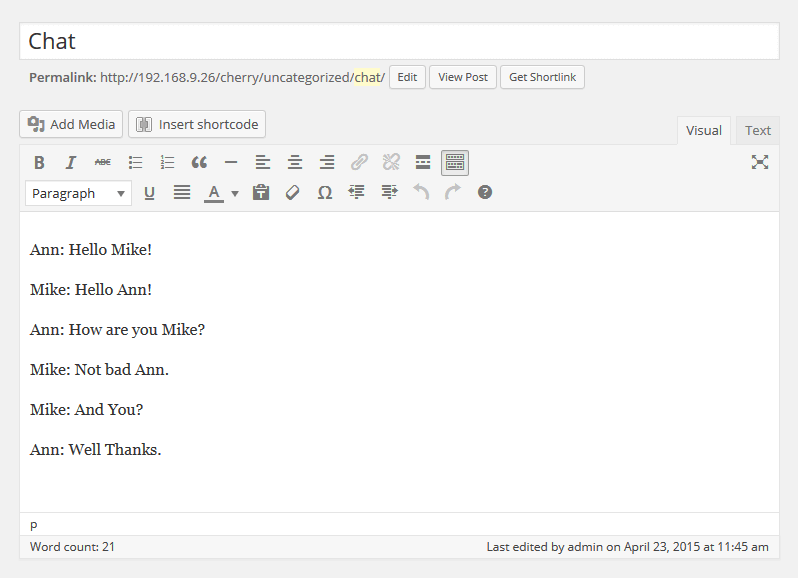 Chat format is a post with content in the form of successive messages. Ann: How are you Mike? The main feature of this post format is the possibility to add an unlimited number of images. 2. Drag files or click Select Files to add images from the local computer. 3. After the images are uploaded, you can find them in Media Library. Click Uploaded to this post to view the images. 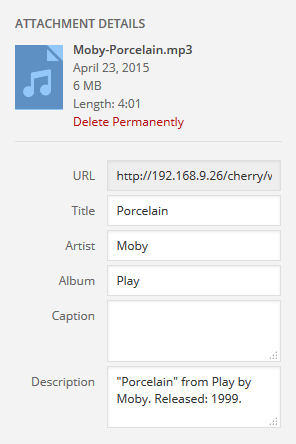 After editing, you can close the media library. The uploaded images will be added automatically. Gallery post format has the same fields that the standard post format has (e.g. title, content, category, etc). Image format is a format that includes one image uploaded through the Featured Image option. 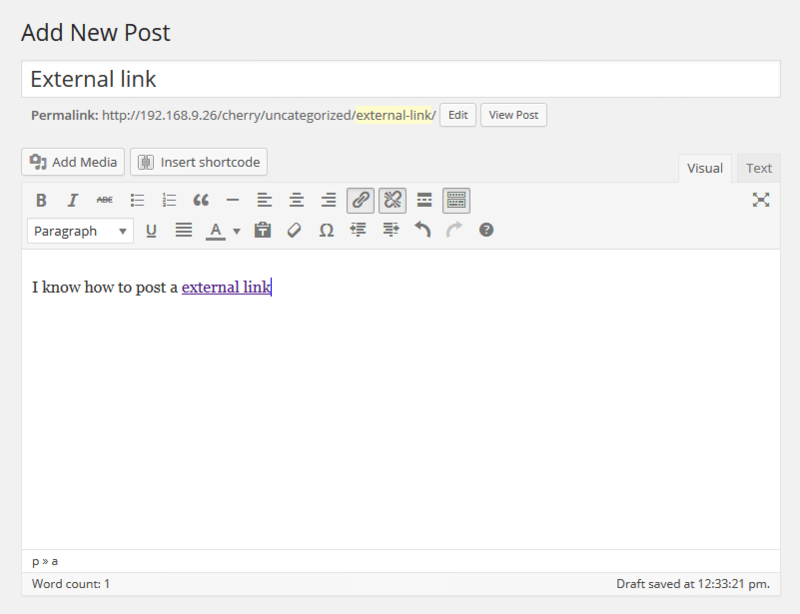 Link post format can be created in the visual editor by adding a URL in standard post format. Post title will be used as the URL text. Moreover, you can add a description of the target page and link any part of the text. 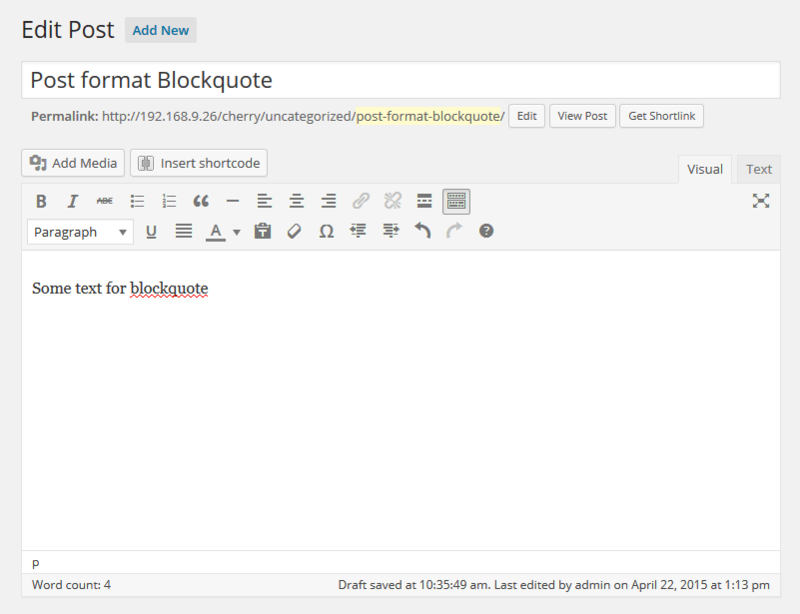 Quote post is used to publish the statements. Status post is a message with content limited to 140 symbols. It is displayed with the author’s avatar. 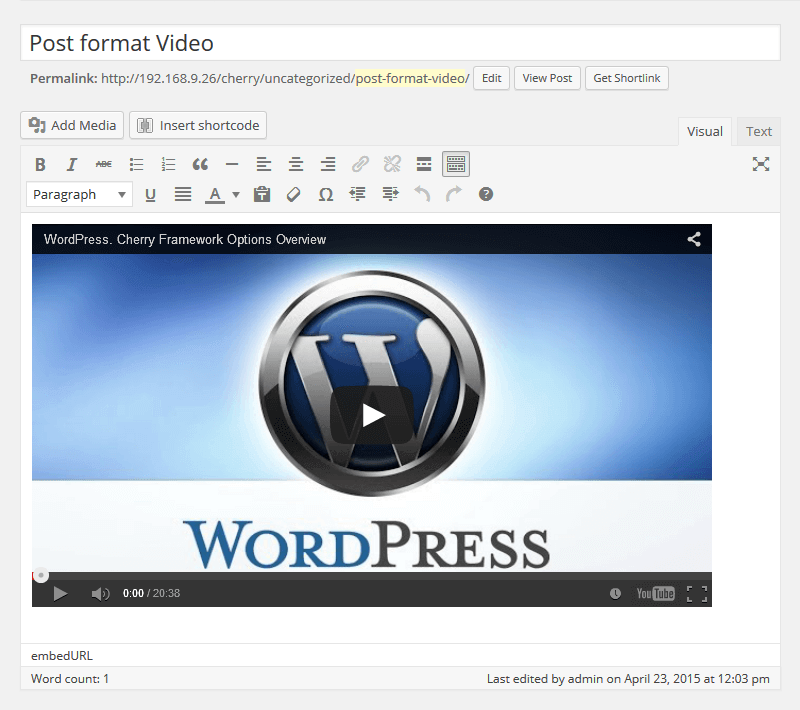 Video post is used to publish video content. Embedded Code - used to add video from the external sources like Youtube, Vimeo, etc. Add video through the Media Library.